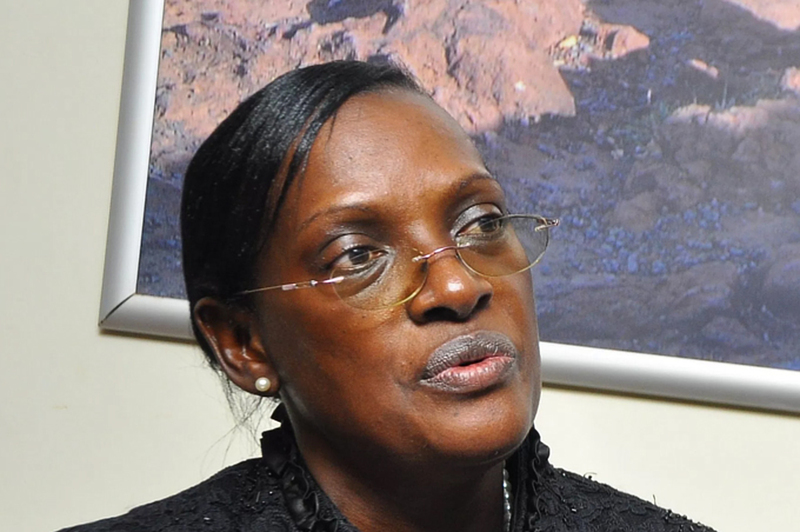 KAMPALA – The former Executive Director in charge of Supervision at Bank of Uganda, Justine Bagyenda has been dragged into fresh controversy after it emerged that she had not travelled out of the country as she had made MPs to believe before she snubbed a vetting session of Parliament. Bagyenda, whose re-appointment to the powerful Financial Intelligence Authority is a source of controversy after she was nominated by Finance Minister Matia Kasaija despite being under investigation over money laundering charges by the same authority, was a no-show for vetting on September 17. She informed the MPs then, that she had travelled out of the country but a leaked telephone printout from her known mobile line indicates that the embattled former central bank executive was at home in Mbuya and even visited her bankers–Standard Chartered Bank. While Bagyenda wrote to the committee indicating she had travelled out of the country, it would appear she decided to snub the Committee chaired by Speaker Rebbeca Kadaga after it emerged that several people including MPs had petitioned the committee over her past record at both BOU and at FIA. MPs under the African Parliamentary Network against corruption have since presented three petitions pushing for her re-appointment on the FIA board member to be rescinded or the line minister Matia Kasaija faces the wrath of the lawmakers. 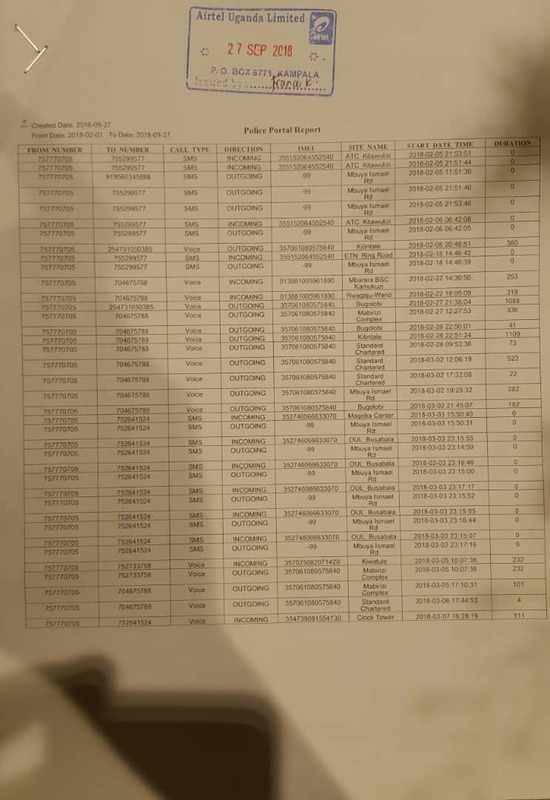 A printout of Bagyenda’s telephone calls during the time period she was allegedly out of the country. Following March reports that Bagyenda had Shs19 billion on three different accounts, which sparked a public debate on how she accumulated such amount of money within six years, a whistleblower petitioned the FIA, demanding that Ms Bagyenda be investigated. Whereas FIA executive director Sydney Asubo in March told journalists that the authority had opened inquiries into the matter, no report is yet to be produced. It was reported that she had Shs19billion on three different accounts, which sparked a public debate on how she accumulated such amount of money within six years. Barclays Bank Uganda and Diamond Trust Bank later apologized to her for exposing her accounts details in the media. Leaked Mobile Money transactions from her MTN account showed Ms Bagyenda had transacted a whopping Shs499,428,906 million in three years. MTN also apologised to Ms Bagyenda for the inconveniences and assured the public that “all confidential customer information is handled and protected with the highest duty of care and integrity.